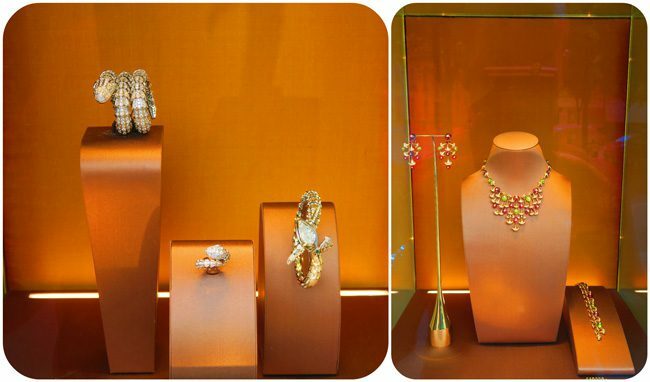 The Champs Elysees is synonymous with glamour, wealth and luxury shopping. 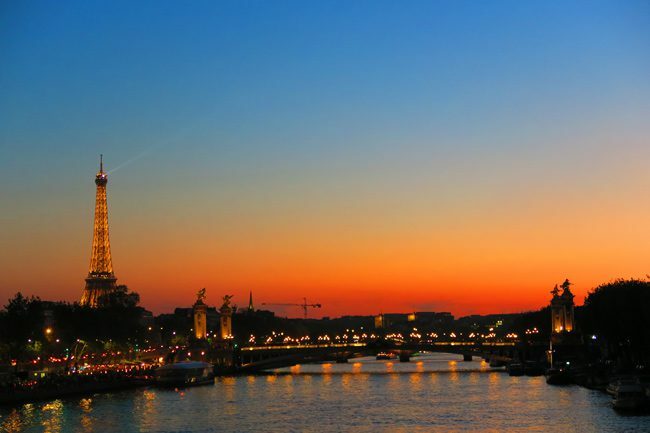 But this area is also home to some of the city’s most famous landmarks and one of the best spots for a panoramic view of the City of Lights. It’s not my favorite part of town but there’s just no way to avoid it, especially if you’re a first time visitor to Paris. 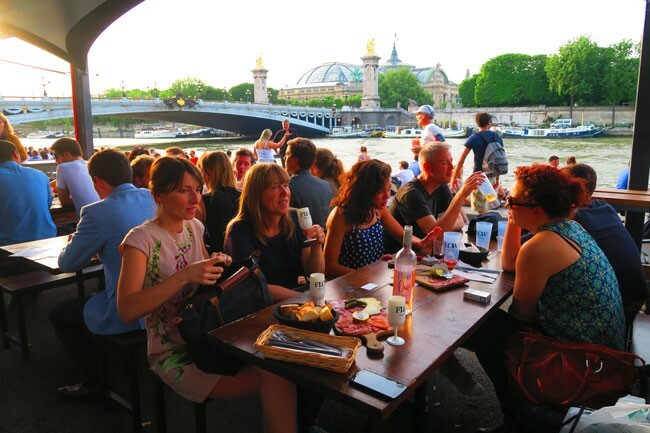 If you plan your day well, you can start with visit to a charming Parisian food market and end your day on banks of the Seine for memorable drinks, before finishing off with a romantic dinner. 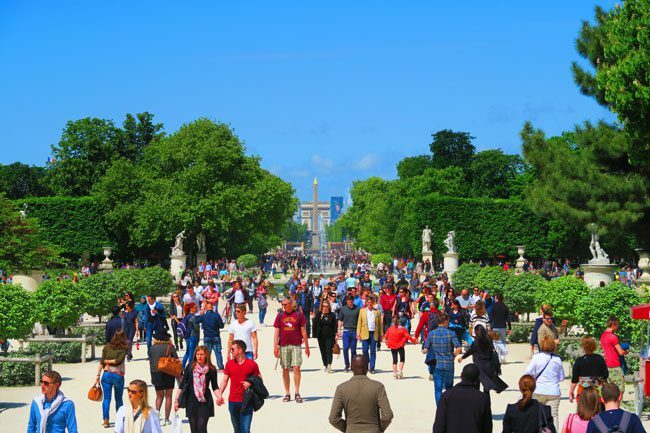 In this Champs Elysees itinerary, I’ll take you on a day that’s spent seeing the top things to do around the Champs Elysees. 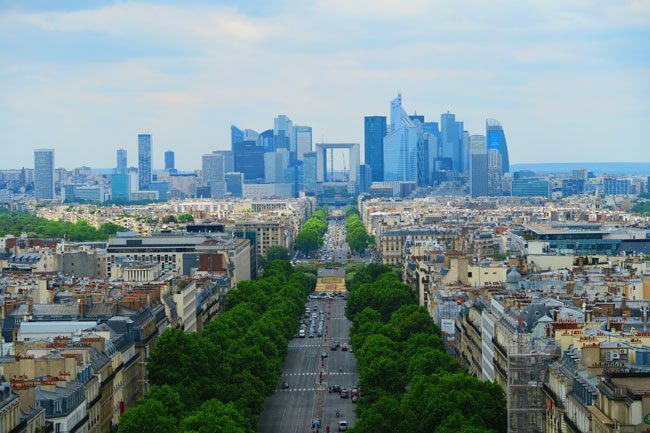 The area we’ll explore today is in the 8th arrondissement (district) – one of the wealthiest in Paris. The eastern side of the district is more down to earth but its western edge, along the Champs Elysees, is Parisian wealth at its extreme. 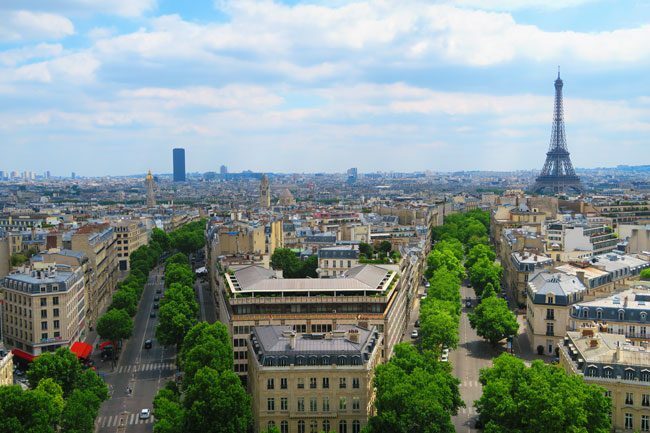 Why visit the Champs Elysees area? Despite anything you hear, good or bad, there’s just no way you won’t make it to the Champs Elysees to see things with your own eyes. 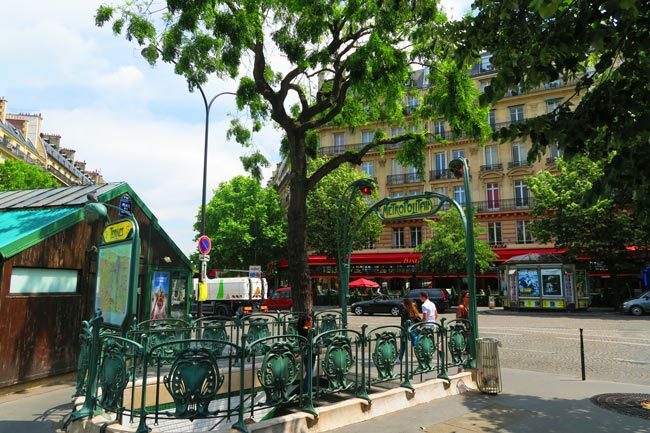 The famous avenue has risen to eternal fame in modern history through songs (Aux Champs Elysees…), historical events and all those retro posters of old Paris that decorate so many of our toilets around the world. My two cents would be to do the inevitable and visit the avenue but, and it’s a big but – don’t make this the highlight of your day. 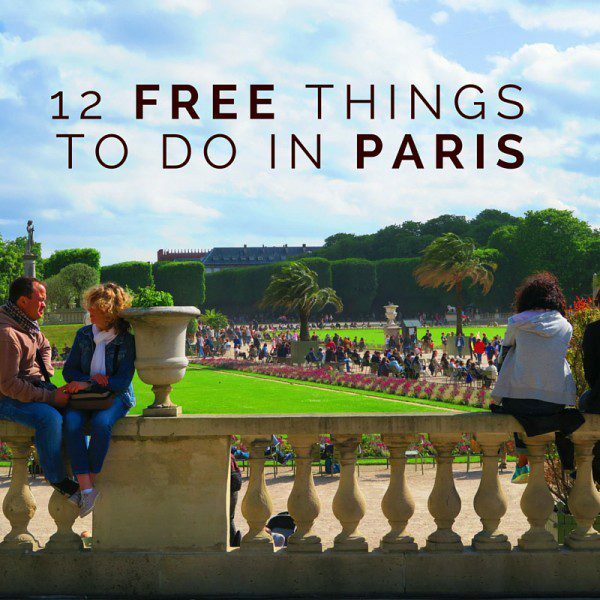 There are lots of things to do around the Champs Elysees and that’s what we’ll cover here. 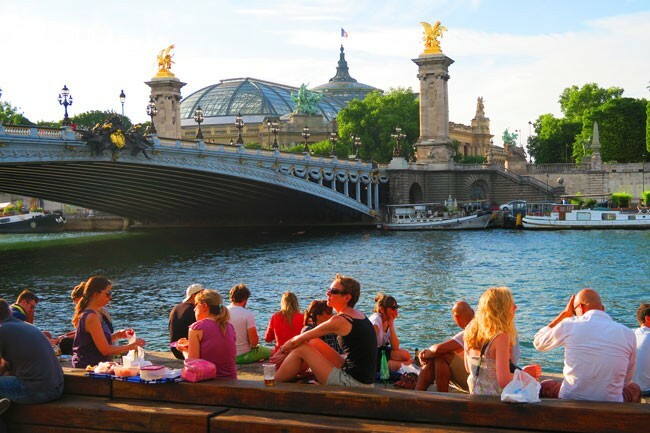 Travel companion: The Rough Guide To Paris – don’t leave without it. 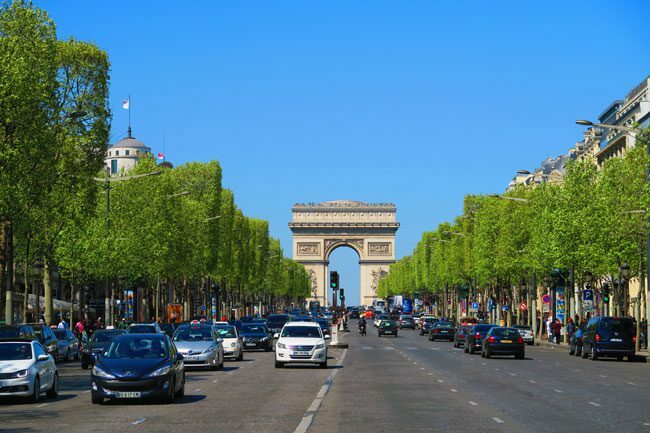 When to visit the Champs Elysees area? 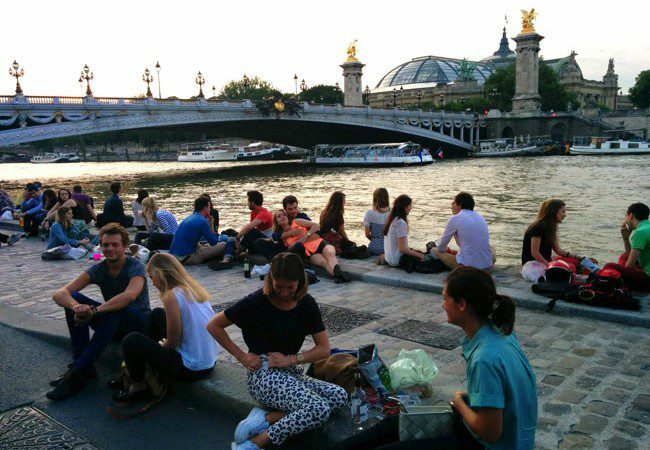 The best time to explore this part of Paris is during the week (except Monday). 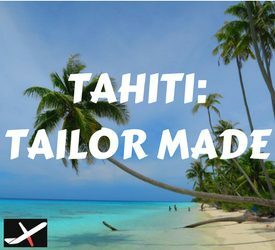 The area is always pretty crowded with tourists throughout the year but on weekends, things tend to naturally get more crowded. 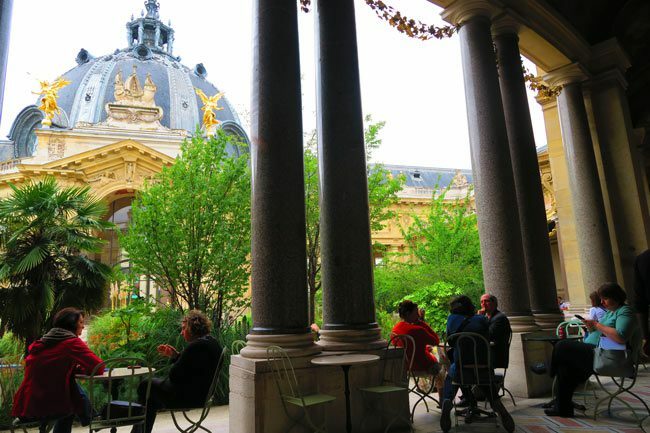 Avoid Mondays as well, as a lot of shops and restaurants tend to take a day off along with the Petit Palais. 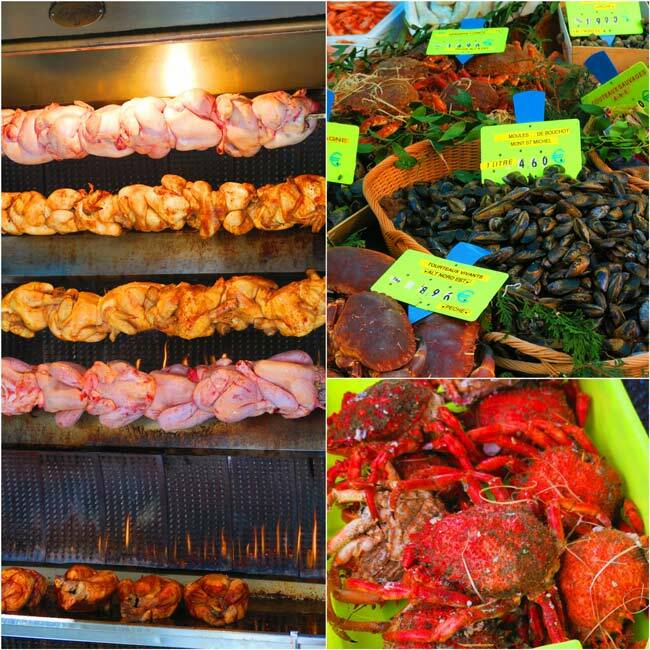 Everybody loves a Parisian food market! If you’ve read some of my other Parisian neighborhood guides, you’ll know by now that I like to start my mornings with a visit to the local neighborhood market. There’s just something about Parisian food markets that makes me happy. Maybe it reminds me of the pre-mega supermarket days (I still remember those) or maybe it’s just because stall owners go the extra mile to make their produce stand out, with interesting decor and arrangement. 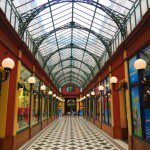 Even in one of the wealthiest areas of Paris, you’ll find one of these food markets and that’s where we’re headed to start things off. To get to this part of town, I took the Metro to Place des Ternes. As you step out of the station, you’re in the middle of a traffic circle that’s also home to a small neighborhood flower market. There’s nothing too special about this but it’s just cool to see this kind of thing in the middle of town (and it’s on our way). 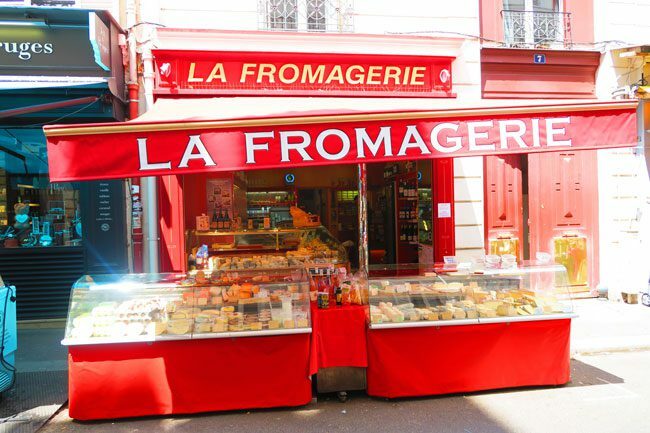 Back on the topic of Parisian food markets, one of the things that make this city stand out, is that it’s actually made for people to live in it. Nowhere is this more evident than in the local neighborhood market street. Every neighborhood, rich or poor, has one of these. 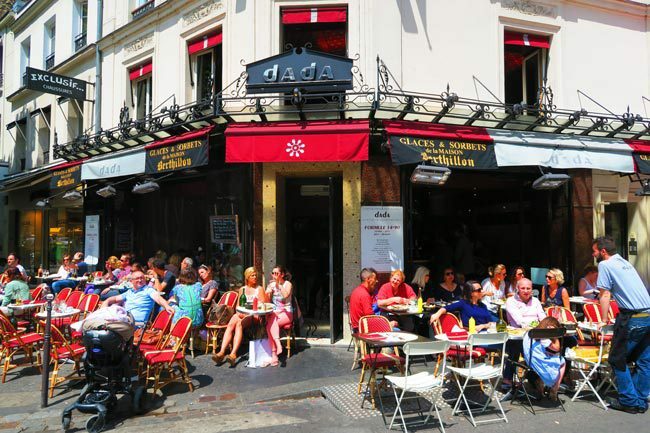 Nearby on the other end of the 8th arrondissement, you’ll find the lovely Rue de Levis, the Latin Quarter has Rue Mouffetard, the 7th has Rue Cler, the center has Rue Montorgueil and, well… you get the point! 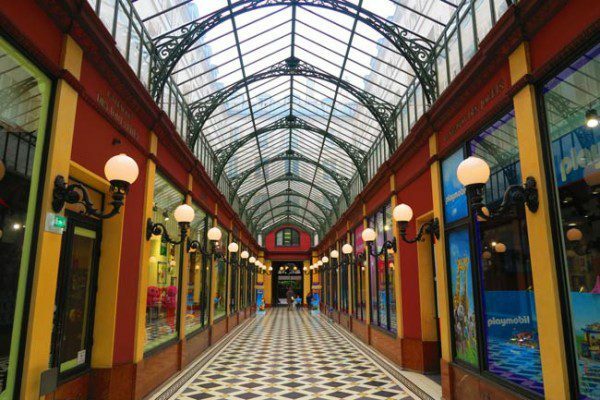 So after this long intro, let’s officially start our day with a visit to Rue Poncelet – the neighborhood’s market street. I just love these kinds of streets! 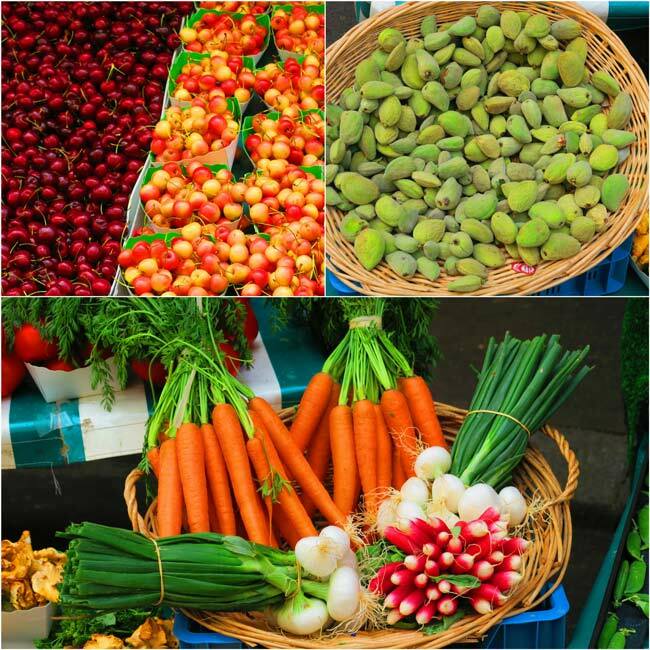 Stroll amongst the fromageries (cheese shops), boulangeries (bakeries), poissonneries (seafood shops) and the fruits & vegetables stalls, with their colorful display of whatever’s in season. Since we’re in the Champs Elysees area, after all, you’ll also find a branch of La Pâtisserie des Rêves, one of the best pastry shops in Paris (the other branch is in Saint Germain). This market street is not big by any means, but it’s a nice way to start your day. If you’ve got the time and just want to laze around, you could just prepare for a picnic while on Rue Poncelet and head to Parc Monceau. 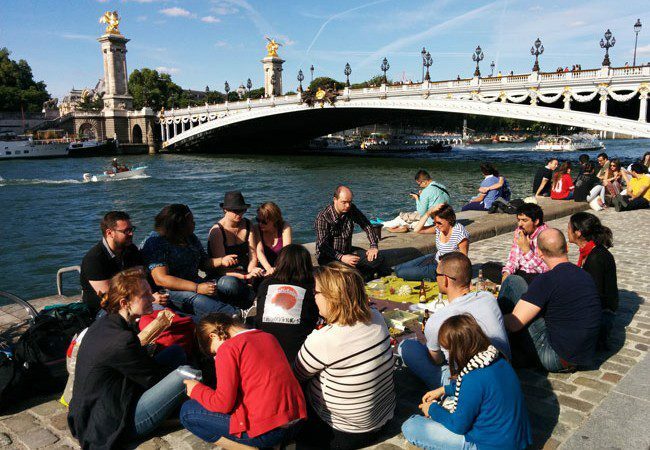 It’s a small detour but if you just want to bake in the sun with the rest of neighborhood, this is one of the nicest places to do so in Paris. 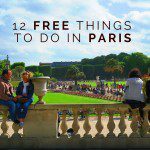 There are lots of cool things to do around the Champs Elysees, and this is one of them! 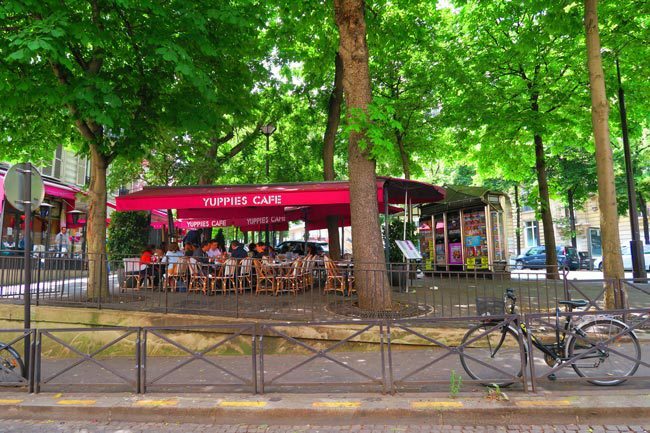 By now, it was time for brunch and just off the lovely Avenue de Wagram, I stopped at Yuppies Cafe for a nice brunch out on the terrace. The food as you’d expect is not cheap around here but the outside terrace was just so hard to resist. Things were so quiet around here despite being super close to the Champs Elysees. Perhaps it’s because all the tourists just focus on that area, not venturing to the lovely side streets just to the west of the famous avenue. 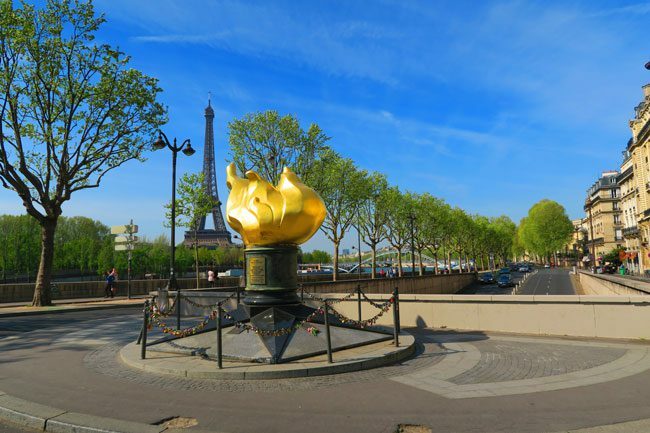 In Paris, all roads do not lead to Rome – they lead to Place de l’Etoile! That’s the mega traffic circle around the Arc de Triomphe and believe me, you do not want to be driving here. What can I say about the Arc de Triomphe, one of the most recognizable landmarks in the entire world, except that it’s simply impressive! 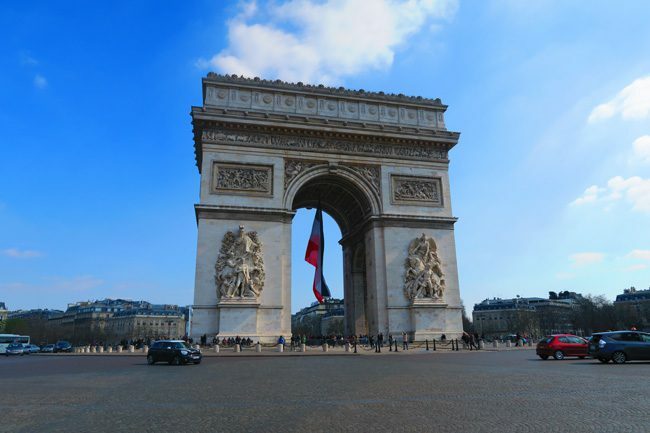 The arc was commissioned by Napoleon to celebrate his victories and was completed in 1836, after 30 years in the making. It has become a symbol of military strength, so it’s no wonder that every conquering army made a point of it to march along the avenue and through the arc. The Prussians did so and most recently, the Nazis. 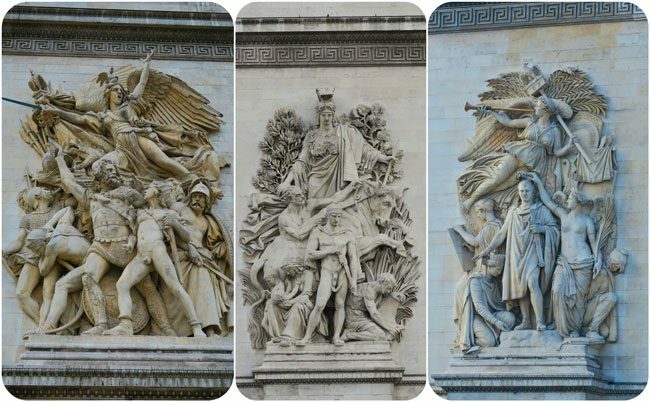 You have a few options for visiting the Arc de Triomphe. The free option is to simply head underground and pop back up beneath the arc. The views of the Champs Elysees are almost unobstructed and you can see the Tomb of the Unknown Soldier from up close. 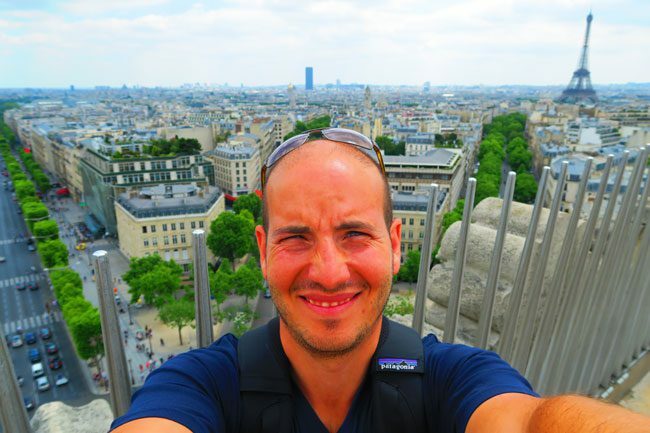 The second option and one that I’ve waited to do for a long time is to climb the 200+ steps all the way to the terrace of the Arc de Triumph for one of the best panoramic views in all of Paris! The €12 is totally worth it in my opinion and the queue moves a lot quicker than I thought (I only waited for 15 minutes). 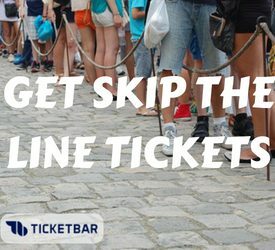 You can also buy tickets in advance and skip the lines. After this ‘achievement unlocked’, the next obvious thing to do around the Champs Elysees is to actually walk down the Champs Elysees! 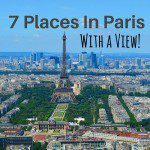 This is one of the most famous avenues in the world and it stretches from the Arc de Triomphe down to the Place de la Concorde. The avenue’s glory days are long gone and instead, it’s constantly packed with tourists who flood the overpriced cafes and ordinary mega chain shops. There’s really nothing too special about the Champs Elysees and I would minimize the amount of time spent actually walking down the avenue. The avenue has been made famous over the years by its abundance of luxury shops. 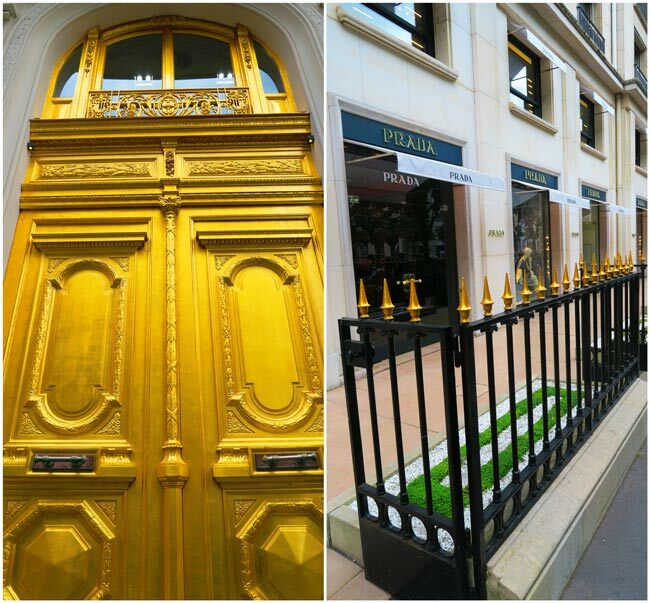 In all honesty, most of these boutiques have moved elsewhere – primarily to Rue du Faubourg Saint-Honoré and deeper inside the Champs Elysees area to the ‘Golden Triangle’. 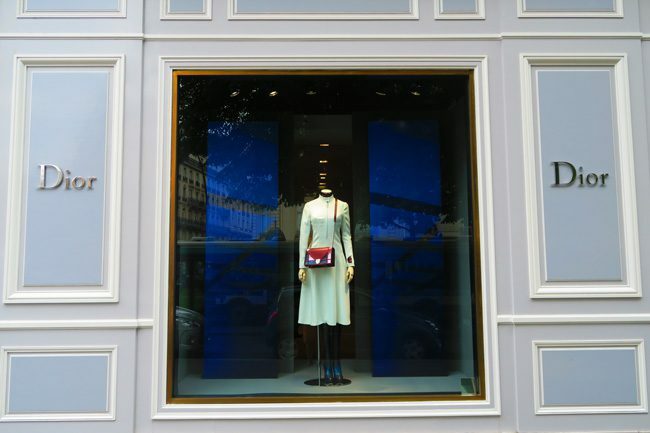 There are still pockets of luxury left here and there, like the Louis Vuitton shop. 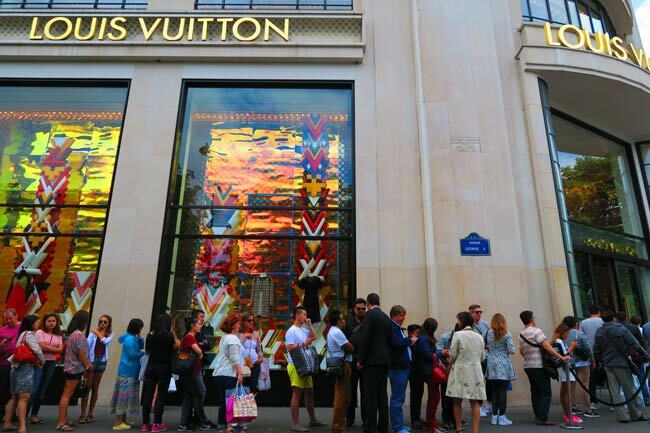 Ladies, help me understand why on earth it makes sense queueing up for 30 minutes just to maybe spend a few thousand Euros on a bag? If that wasn’t enough for you, wait for what’s coming up next. 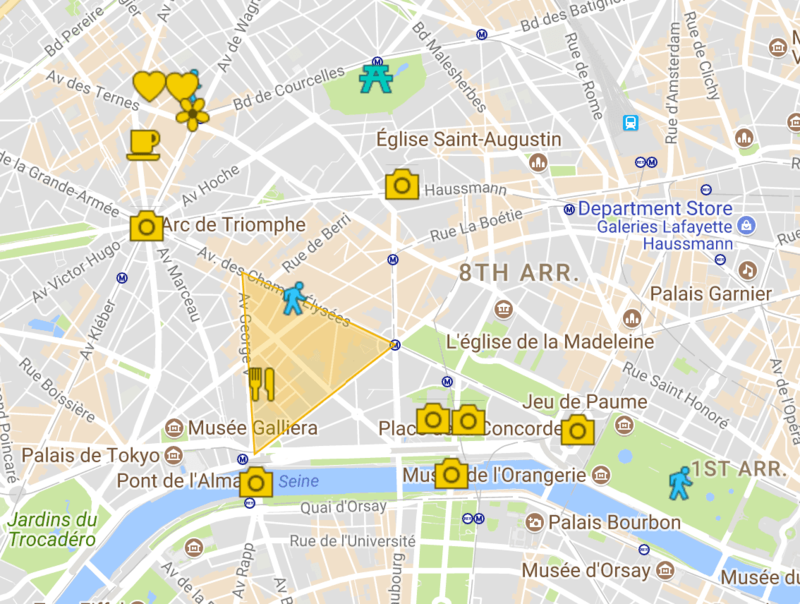 The area formed by Avenue Georges V, the Champs Elysees and Avenue Montaigne – is known as the Golden Triangle (Triangle d’Or). There’s nothing golden about this area except for perhaps the amount of gold in possession of the triangle’s residents. 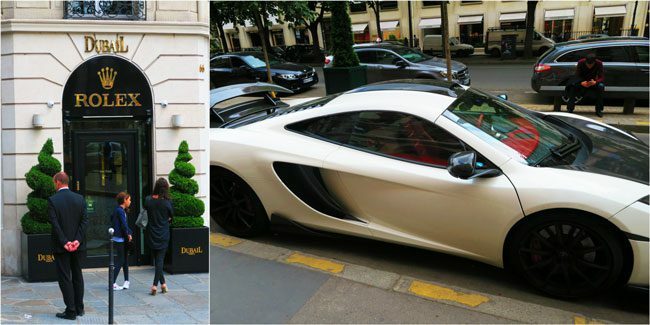 There are other pockets of wealth in Paris but none are as pretentiously rich as the folks who live around here. The Golden Triangle is where you’ll find ridiculously expensive hotels, ultra luxury boutiques, million dollar cars, exotically bred pets and unbelievably fancy apartments (a lot of them are ‘ghost apartments’, with their foreign owners making an appearance once in a while for some shopping). 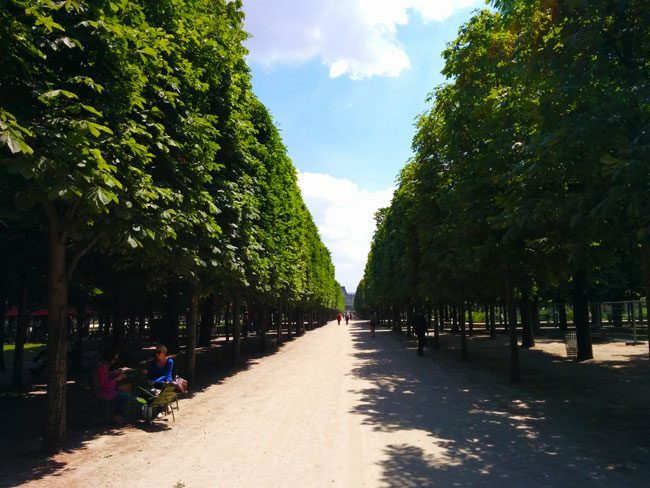 Walking along these streets made me feel a bit uncomfortable and I definitely came here to ‘take one for the team’ and document the things to do around the Champs Elysees – for you, my dear readers! 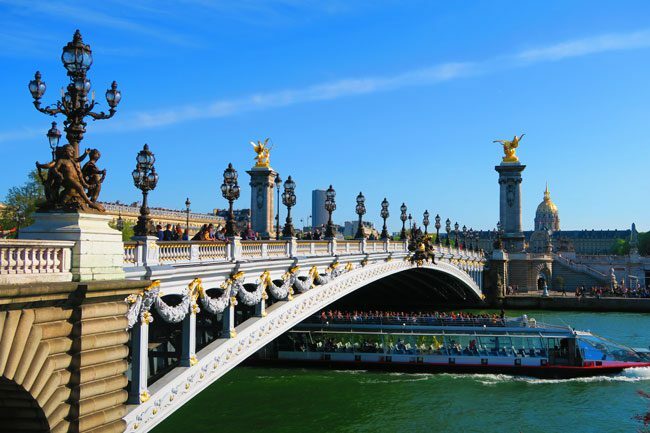 At the very tip of the Golden Triangle, you’ll reach the Pont de l’Alma. You can cross this bridge if you want to explore the Eiffel Tower district or just stop for great views of the tower. 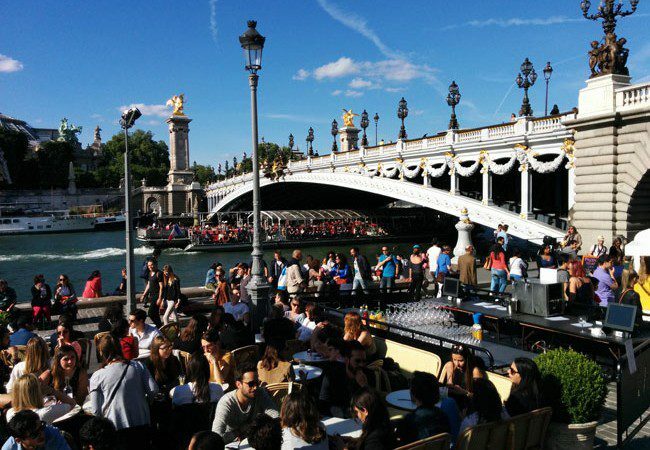 Before reaching the Seine, you’ll pass above a busy stretch of highway that disappears beneath the intersection. This is where Princess Diana’s car crashed back in 1997. We’ll continue walking along the Seine and eventually reach the Grand & Petit Palais. 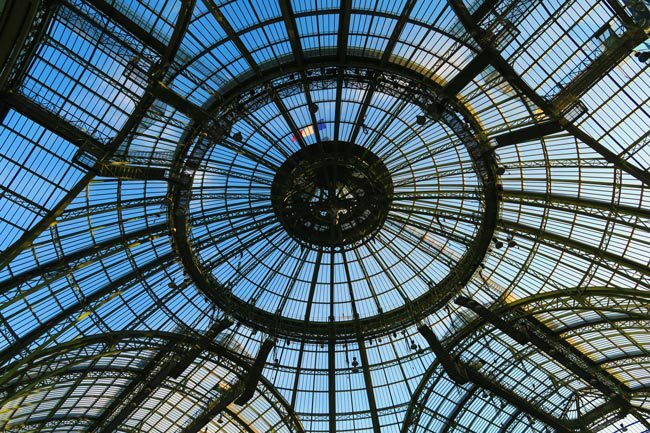 The Grand Palais looks like the prettiest greenhouse that you’ll ever see and it’s one of Paris’s most famous landmarks. It was built for the 1900 Universal Exposition and its steel and glass frame was revolutionary at the time. The highlight is to venture beneath the glass dome, but you’ll have to find special events that are hosted in this large space. 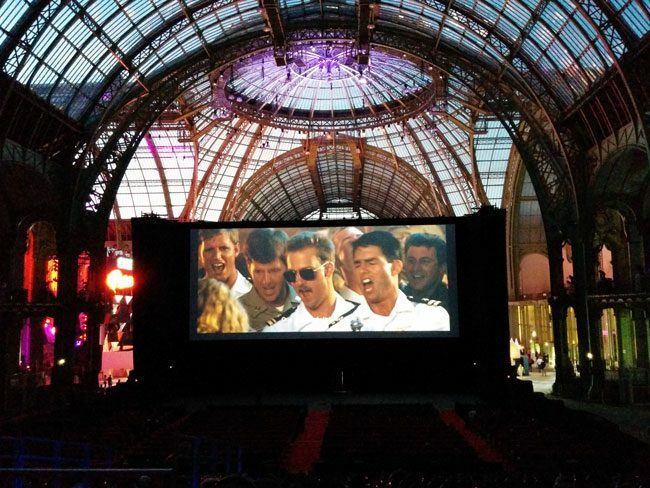 Those range from gardening exhibitions to a famous equestrian show, but even to festivals like the Cinema Paradiso, where classic movies are shown on a huge screen with lots of partying in between (±€30). I was fortunate enough to see the greatest movie ever made under the glass dome and I’m talking of course about Top Gun! Aside from large events, there are galleries at either end of the Grand Palais and there’s always something interesting there. 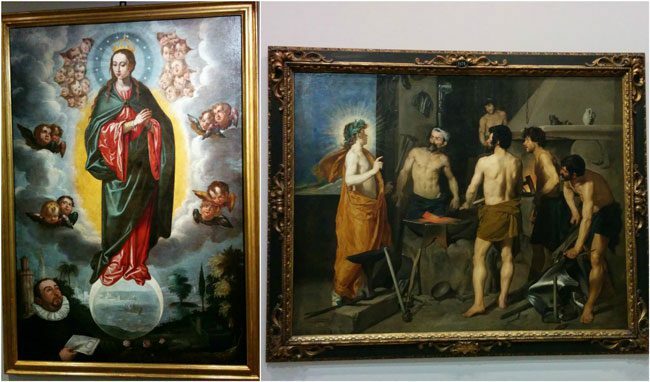 I visited an art exhibition dedicated to the work of Spanish painter Diego Velázquez and though you don’t get to venture underneath the dome, these temporary exhibitions are usually magnificent. Check out what’s currently showing at the Grand Palais when you visit and always buy your ticket in advance to avoid the queues. The little sister just across the street from the Grand Palais is free to enter at all times. 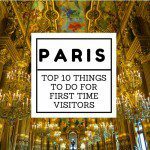 The Petit Palais is home to the Fine Arts Museum (Musée des beaux-arts de la ville de Paris) and if you’re already in the area, be sure to venture inside. There’s also a charming cafe in the garden that’s just perfect for a coffee break before hitting the road. 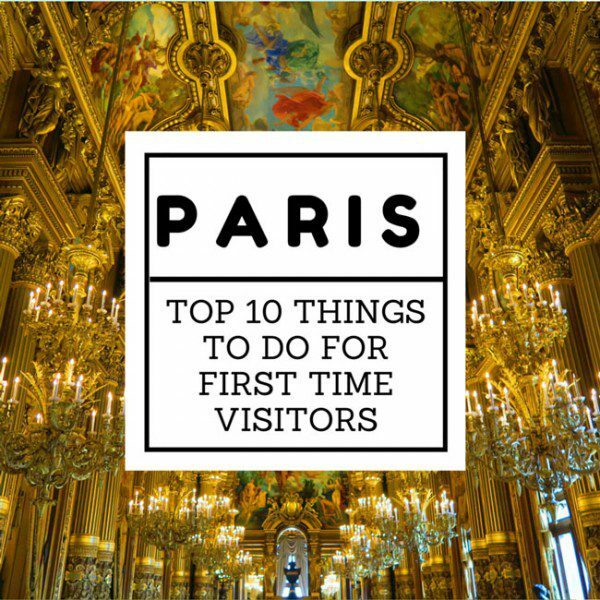 A stone’s throw away from the Grand Palais is another must see highlight in Paris. 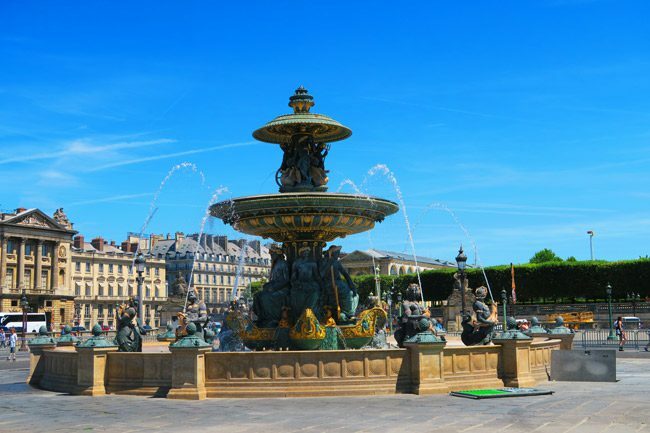 Head over to Place de la Concorde, the famous plaza that’s at the very tip of the Champs Elysees. You’ll be treated to fine views of the entire length of the avenue and its surrounding landmarks. The plaza is also famous for its Egyptian obelisk, a gift from the king of Egypt to France back in the 1800’s. 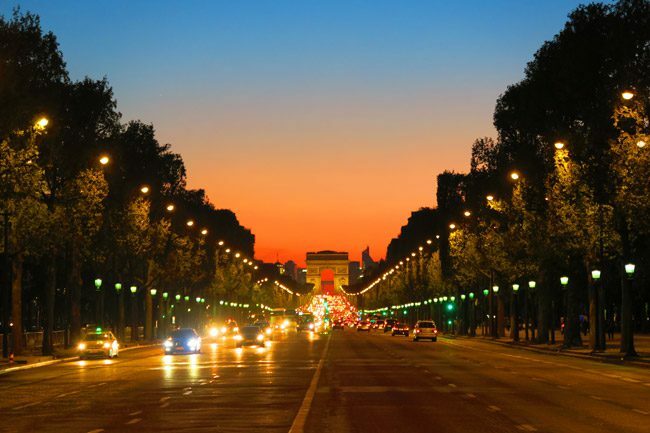 At dusk, the views of the Champs Elysees are unrivaled and be sure to also have a look at the Eiffel Tower from the Seine side. The rest of your day really depends on how much time you’ve got and how much you want to keep walking. 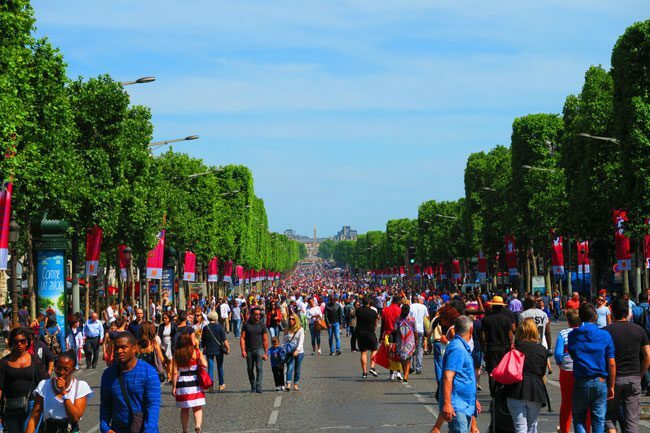 There are still lots of things to do around the Champs Elysees and I’ll list a few options. In either case, I’ll end my day of exploring the Champs Elysees area with a wonderful romantic dinner. The place de la Concorde is the gateway to the Tuileries Gardens. 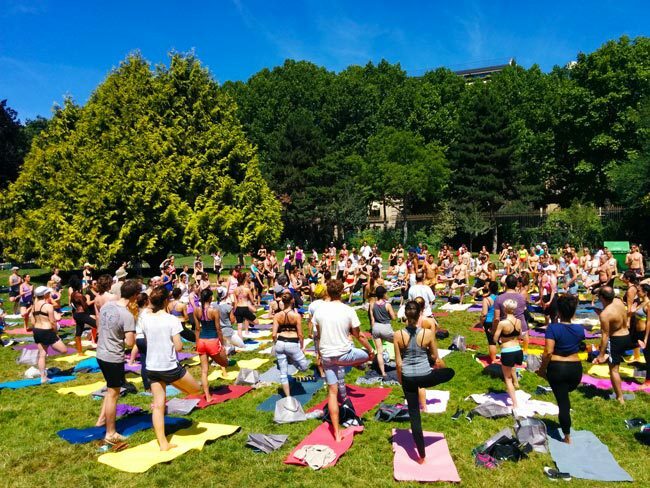 Together with the Luxembourg Gardens in Saint Germain, it’s one of the finest parks in all of Paris. 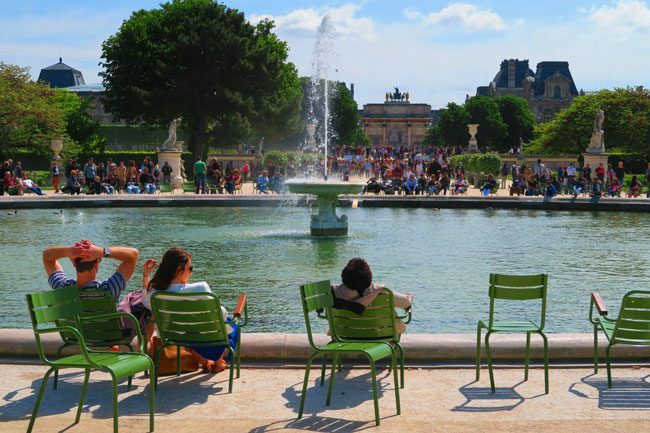 It stretches all the way from Place de la Concorde to the Louvre and its most pleasant section is the central pond, where you can grab one of the metal chairs for a lovely break from all the walking. 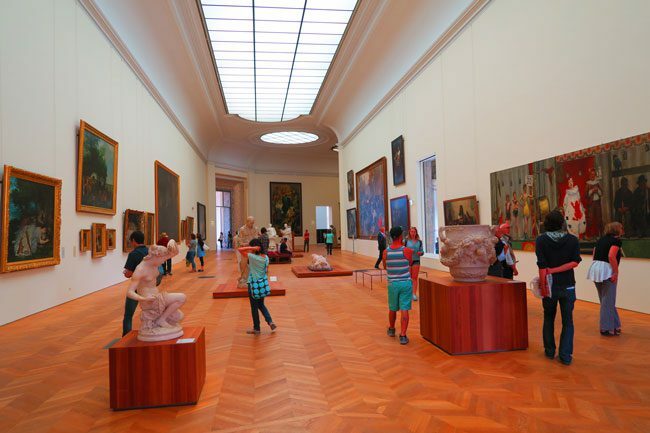 There are also a couple of reasonably priced cafes and two prime museums at its western edge: the Musée de l’Orangerie and the Jeu de Paume. 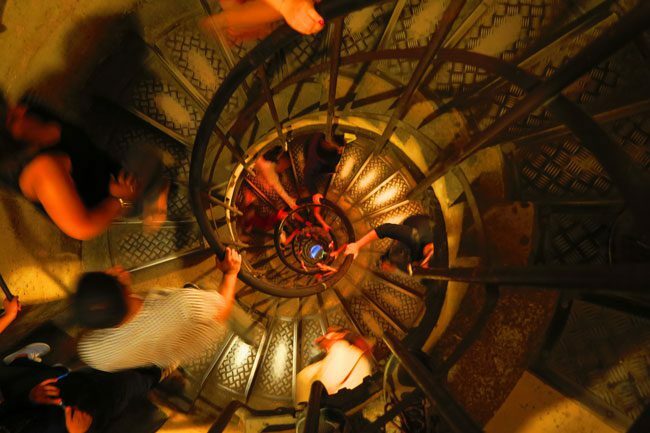 The former is home to impressionist and post-impressionist masterpieces by the likes of Monet, Cezanne, Renoir, and Picasso, while the latter is a center for modern and postmodern photography & media. 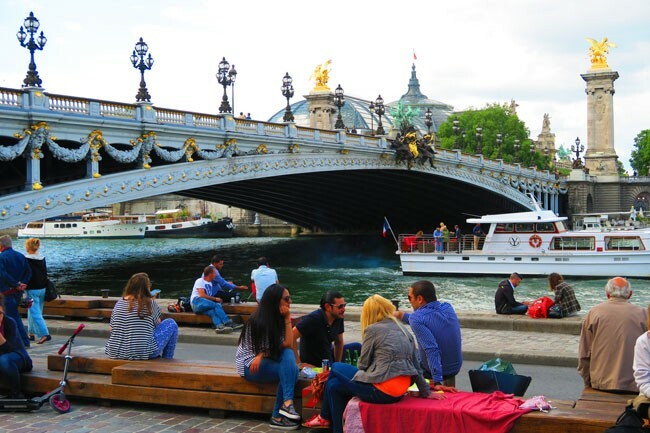 Just across from the Grand & Petit Palais, the banks of the Seine are connected by the prettiest bridge in all of Paris. 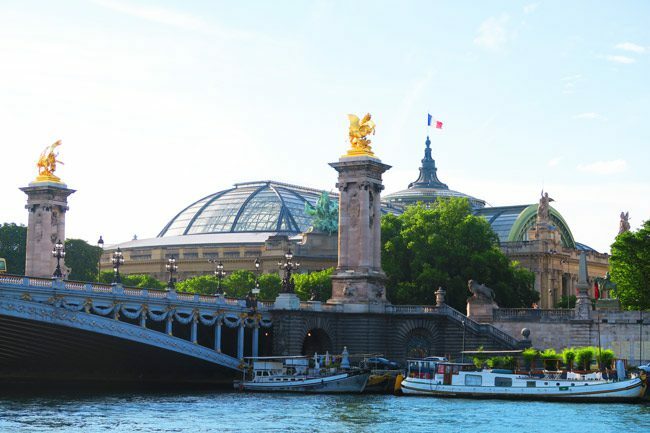 The Pont Alexandre III was also built for the Universal Exposition of 1900. 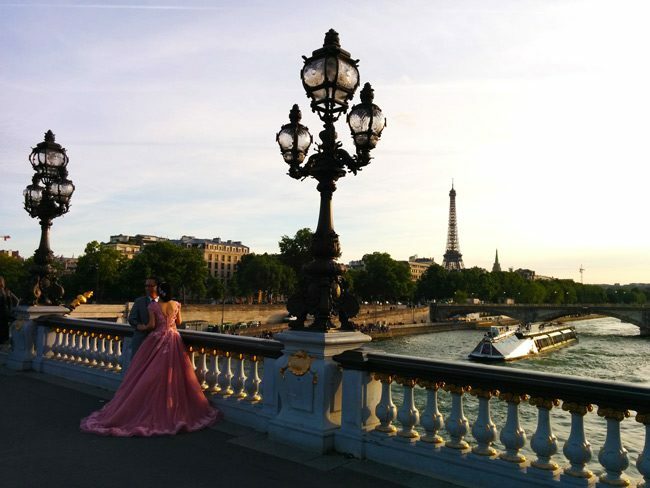 Famous for its gilded ornaments and Art Nouveau lamps, the bridge is one of the most romantic spots in Paris, so it’s no wonder why so many couples come here for their pre-wedding super cheesy photo shoot. During spring and summer, there’s more action happening beneath the bridge than on top with a few pop bars springing to life. 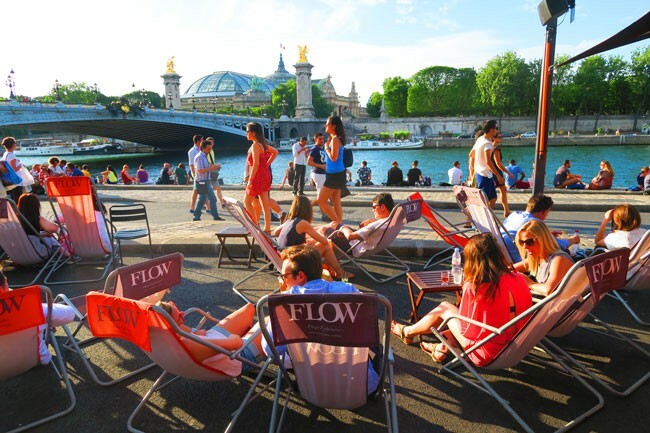 It’s the perfect spot in Paris to end your day. 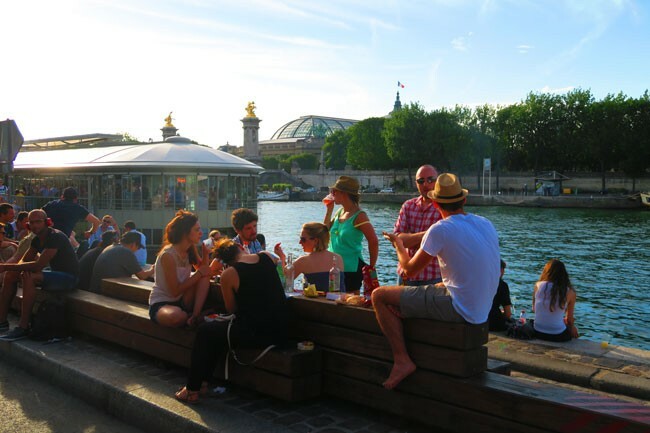 Bring your own drinks or grab a spot in one of the bars and enjoy the last few hours of what will probably be another one of those days in Paris that you just didn’t want to come to an end. Our perfect day in Paris doesn’t have to come to an end just yet. Now that we’ve had our pre-dinner drinks, we’re ready for dinner! I know that considering my earlier criticism of the Golden Triangle, it’s kind of surprising that I’ll head there for dinner – but La Fermette Marbeuf is something super unique and not too expensive. Isabelle and I went there for a romantic dinner and whatever you do: be sure to book in advance, dress nicely (no need to overdo) and book a table in the interior dining room. 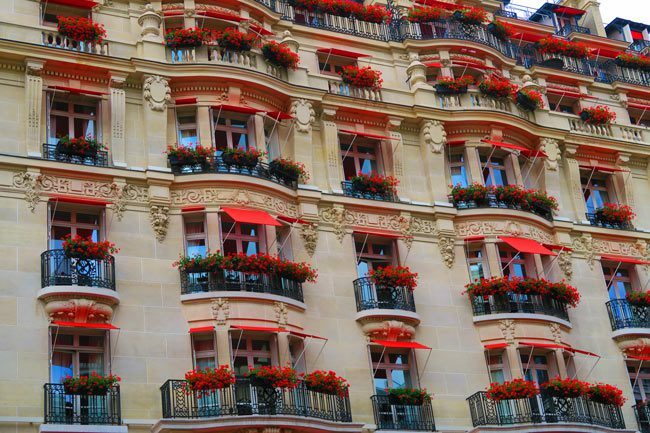 This restaurant serves gourmet French food and takes advantage of a former early 20th-century hotel that once stood here, built in classic Belle Epoque fashion. 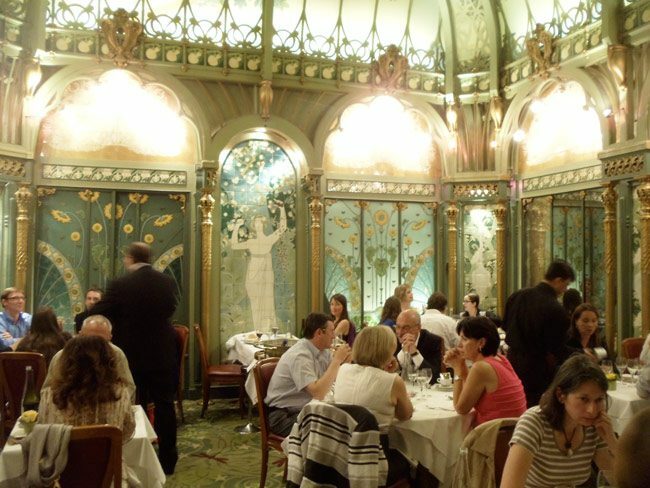 The interior dining room used to be the hotel’s winter garden and it was finished off by famous Art Nouveau artist Alphonse Mucha. 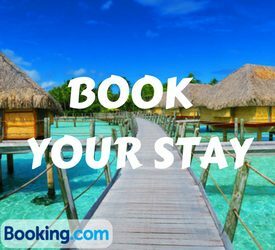 Expect to pay about €40-50 per person, not including drinks but if you’re looking to spoil yourself with a romantic dinner in Paris – this is a great option, as long as you’re seated in the interior dining room! The food is just excellent and the service just as you’d expect, with those Parisian waiters dressed in classy white aprons. The Champs Elysees area definitely doesn’t rank among my favorites in Paris. That said, there are a few pockets of charm here and there. 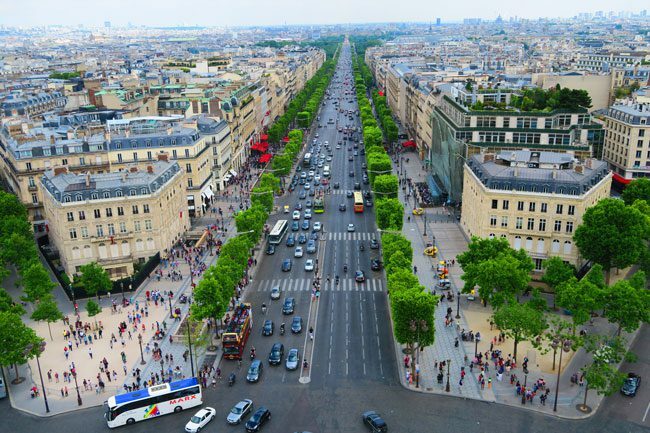 If you’re a first-time visitor, there’s just no chance you won’t venture to see the Champs Elysees with your own eyes – it’s simply too famous. 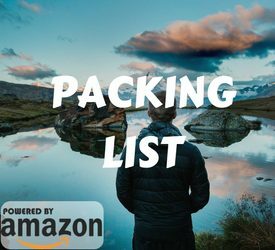 What I do hope to have achieved with this itinerary is to show you some of the other top things to do around the Champs Elysees. 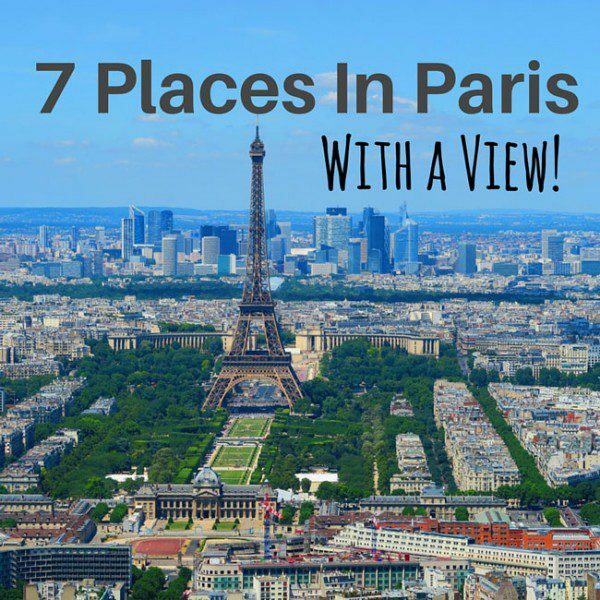 I would really minimize my time on the grand avenue and venture into the side streets on either end, with the west being as authentic as you can get in one of the expensive areas in Paris.